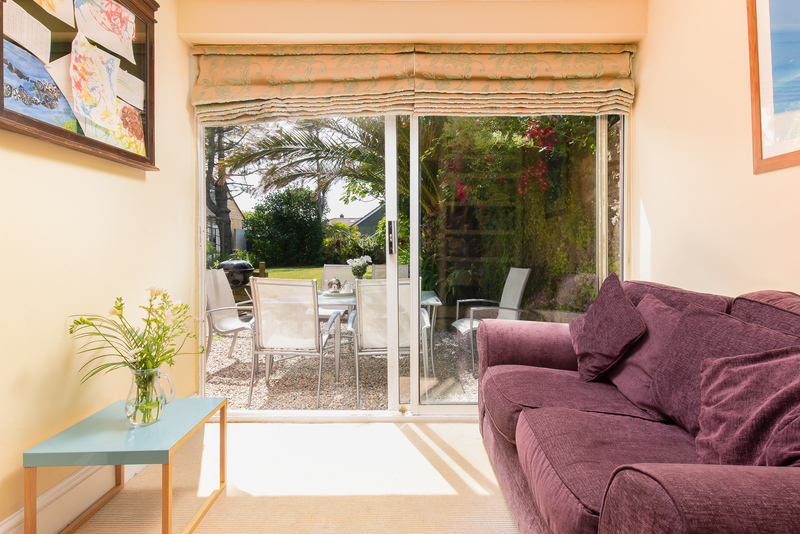 The picturesque seaside village of Crantock is home to Berwyn, a traditional double fronted Victorian terrace house packed with period charm and contemporary elegance. Dating back to 1890, this lovely Cornish cottage is a modern day Tardis. From outside it looks no different to any other terrace house on the quiet street, but step through the friendly red door and you'll be surprised by how spacious and well equipped it is. 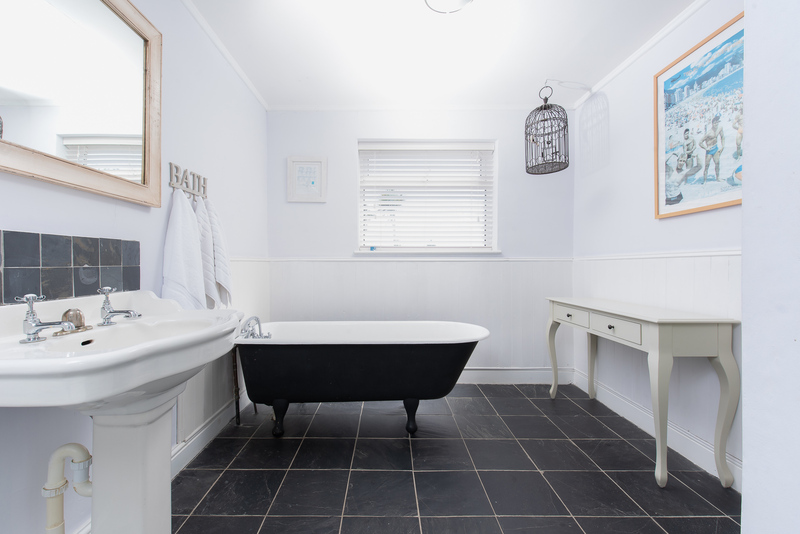 Lovingly renovated, the house has maintained several of its Victorian features, including tiled fireplaces, wood floors, sash windows and intricate plasterwork around the lights and ceilings. These have now effortlessly fused with the modern decor and facilities, such as WiFi and flat screen TV's. 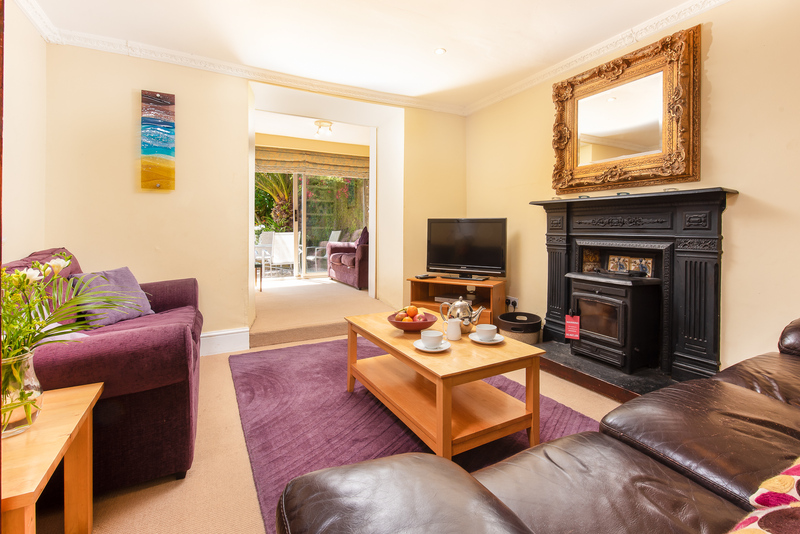 Up to 10 can comfortably stay at Berwyn for family holidays or group gatherings. This large pet friendly house has five beautiful bedrooms, all with their own vanity unit and three gorgeous bathrooms, one with roll top bath. The Master Bedroom is absolutely unique, with its tremendous size and stunning en-suite bathroom with walk-in wardrobe. 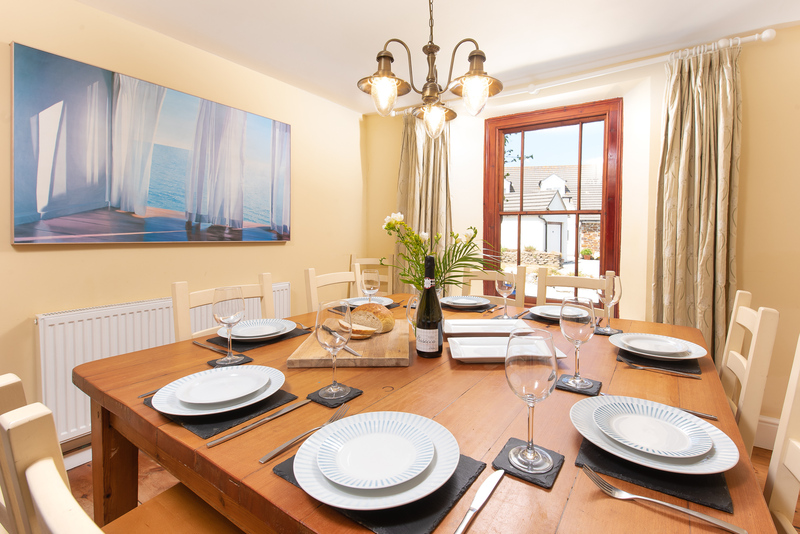 The cottage is fully furnished to meet everyone's needs, no matter what their age. The enclosed garden is great for keeping dogs and children alike safe and sound within Berwyn's borders, and as well as WiFi there is a selection of games and books hidden around the cottage. 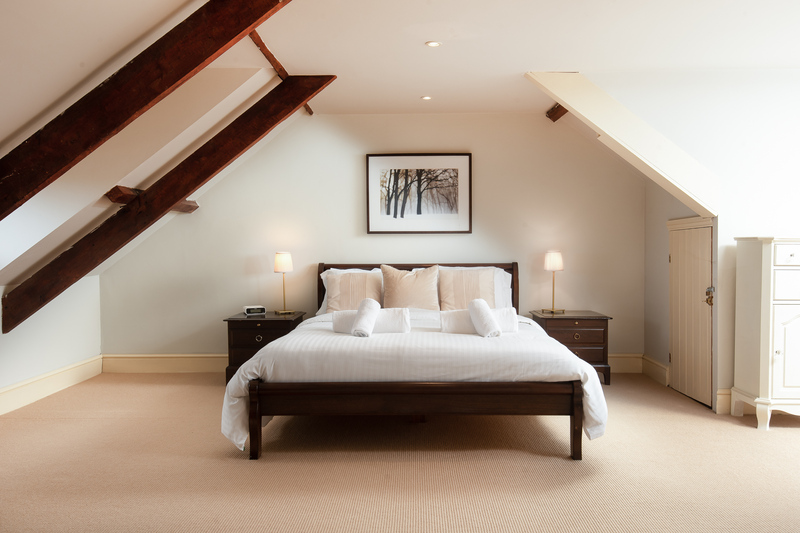 Adults will enjoy the enchanting atmosphere of the cottage's charming rooms and the south-facing sun terrace. 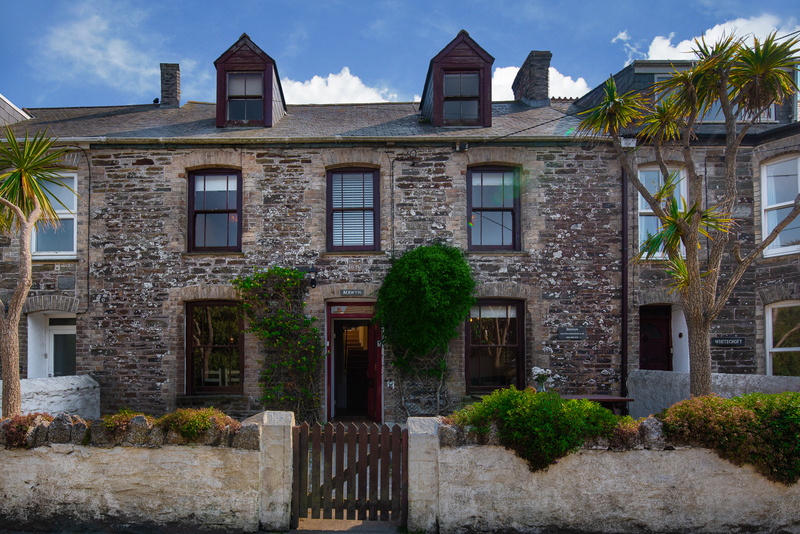 Berwyn is in an excellent location, which makes it the ideal home when exploring North Cornwall. The chocolate box village of Crantock, with its whitewashed cottages set beside the Atlantic Ocean, its beach; which allows dogs all year, is filled with soft golden sand and is perfect whether you surf or swim. If you're a fan of parking the car and leaving it when you're on holiday, then Berwyn is perfect. The village has two excellent pubs, a well-stocked village shop and a beach, and all within a 10 minute walk of your front door, so there is no need to rev up the engine unless you want to. You can even take the boat from Crantock to Newquay in the warm summer months. The bustling town on the North Cornwall coast may have a lively reputation, but it is well worth a visit when staying at Crantock.